Select company you wish to update. 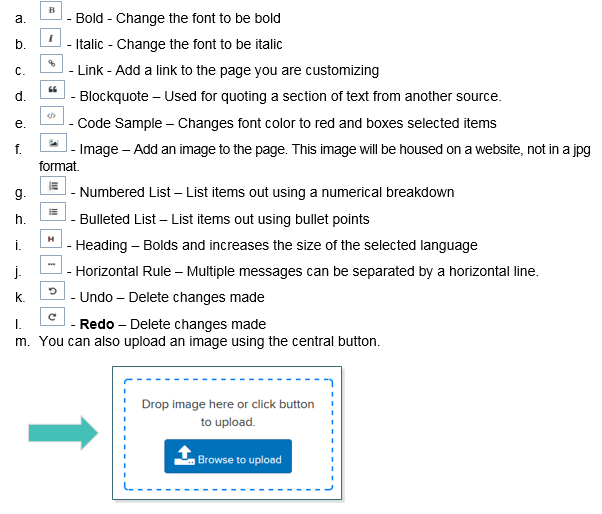 Click on Setup & Configuration, and from the drop-down menu select Page Customizations. 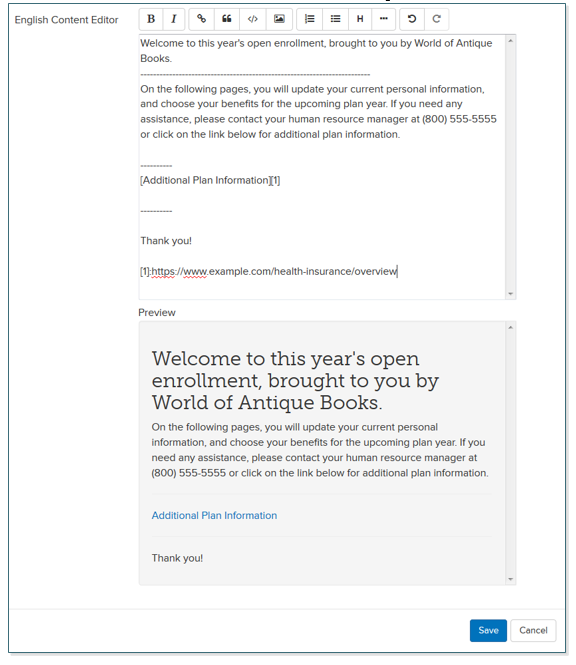 You can customize a specific Benefit Page or Customize a Page. For this example, we will customize a page. Select the Page Customizations tab. Use the dropdown menu under Page to select the page you would like to customize. Use the dropdown menu under Position to select the location of the customized verbiage: at the top or bottom of the page. TIP: If you choose the Welcome Page, you will not have the option to select the Position. Under Preview, you can review how your message will appear to employees. In this example, Header, Horizontal Line and Link was used to edit the message.